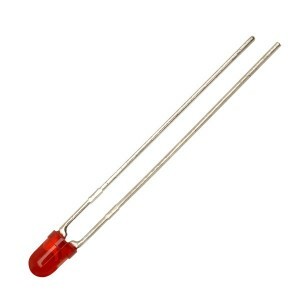 These 3 mm sparkling red LEDs are great for your new projects and for prototyping. With this pack, you'll never be short of LEDs. These 3 mm red LEDs are what you need if you want to have a catchy project with some tiny lights. They're commonly used for timers, road stop signs and more. Their diffused lens give a wider viewing angle of the light.